Eczema treatment takes constant care and attention. Eczema is not one of those conditions that can be treated with a quick-fix pill. While some people can treat eczema by simply eliminating certain products from their skin care routines, others require a visit to a dermatologist. The American Academy of Dermatology says that getting a dermatologist's diagnosis is the first step to relief. Fragranced products like lotions often contain alcohol or other chemicals that aggravate eczema. However, it's best to eliminate one product at a time to see what's causing your flare-ups. Do you really want to go without your favorite body wash if you don't have to? People with eczema should take lukewarm showers. Hot water just exacerbates the condition by drying the skin. Eczema treatment requires excess moisture. You may find you have to change your laundry detergent or lay off of the dryer sheets as they can easily aggravate skin conditions. Consider switching to a clear detergent that is free of fragrances and dyes. Caffeinated and alcoholic beverages have also been known to trigger eczema. The combination of cold weather, heaters, and coffee in the winter is a recipe for disaster. Elidel is a popular medication for long-term use in eczema treatment. There are several side effects to watch out for, but that is the case with almost all medications. 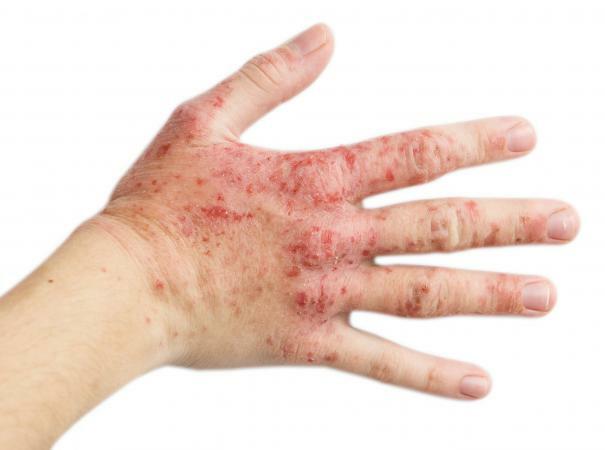 It's not a cure, but it often does a good job at keeping eczema outbreaks at bay. Hydrocortisone cream is good for short-term use. If you can clear your eczema up and get it under control within a few weeks, this will work. However, you may have to just use this as a starting point in the course of your eczema treatment. If used for extended periods of time, hydrocortisone cream can cause thinned skin. Aquaphor and Eucerin aren't really medications as much as very emollient products to heal your skin and lock in moisture. You don't need a prescription. These products can be found in drugstores. Put these on your body or face as needed. Use with caution on your face because they sometimes can clog pores and cause pimples. Try to limit use on your face to no more than once a day. You should introduce only one product at a time to your skin care routine. If you have a flare-up, it'll be easier to pinpoint the problem than it would be if you were to add three things at once. If something helps your skin, you'll know what it is and save money on the other products. Otherwise, you may feel obligated to use a five-product concoction when all you really need is one thing. Water is very important. Make sure you stay hydrated. Pat dry--don't rub--your skin after you shower. Don't exfoliate every day. Give your skin a break so it can heal. Make sure to moisturize within three minutes of stepping out of the shower or washing your face. This helps lock moisture into your skin. If you wait too long, the benefits of the moisturizer drastically decrease. Wear clothing that lets your skin breathe. Thick, scratchy fabrics like wool often give eczema the perfect opportunity to show its ugly face. Try to stick with airier fabrics like cotton for clothing that comes in direct contact with your skin. According to KidsHealth.org, even children can develop eczema. It is estimated that one out of 10 people have some type of eczema. With effective medications and a decrease in stress, you should be able to limit this itchy, skin disease. The best way to control this skin problem is to monitor it and take action when it first appears. With attention and care, it is possible to live in comfort even with this uncomfortable disease.